Da Da Da Da Life Goes On*: Flying, and Oklahoma! My mother, Carol Brueggeman McDougall (1914-1968) of Chicago, B.A. in English, U. of C. Class of 1935, while at that University took flying lessons at an airfield near her home on the northwest side of the city. 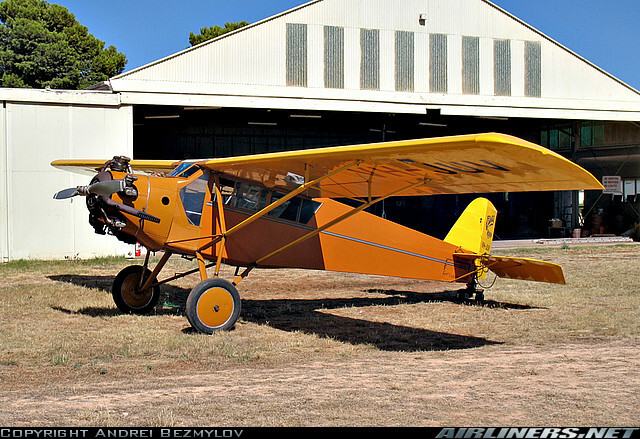 She flew in an airplane called a Curtiss Robin. She never completed pilot training, but became a huge fan of Amelia Earhart, and was therefore always very understanding of my youthful passion for aviation, and of the model airplanes that decorated my room. The airfield Mom flew from was called Orchard Field, later Orchard-Douglas Field, after a Douglas Aviation assembly plant was built there early in WWII. Hence, it acquired the symbol ORD. Today, it is known as O'Hare International Airport. In the morning, I shall be heading back to Oklahoma for the first time in close to three decades, and changing planes at O'Hare. Oklahoma is not only one of Rodgers and Hammerstein's all time great Broadway musicals. Oklahoma is also a state that used to be Indian Territory (that was its name), a major source of wheat and fossilized energy, and the home of some 3.8 million fine residents of America's Heartland. Back in 1975 and '76, I worked about half of my year in Tulsa and in southeastern Oklahoma, when I was with the ICM Corporation's subsidiaries called Coal Reclamation Company and Arkoma Coal. We had projects going in Pennsylvania and in the region around Poteau, OK. As it happened, I took my flying lessons at both ends of that axis. 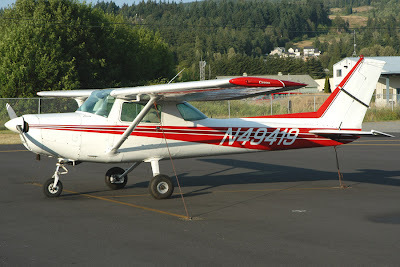 Ground school I took at Allegheny County Community College in Pittsburgh, and I did my primary flight training in an all-metal Cessna 140A with CFI Stan Siggins at Finleyville Airport, a leveled hilltop on his farm south of Pittsburgh. Stan had been a WWII Army pilot instructor, and told me he had "soloed" over 700 pilots. I became another of his graduates when I soloed and made three landings in an incipient snowstorm on January 7th, 1976. (It is easy for an American to remember the date, 1776.) Stan was a great teacher. 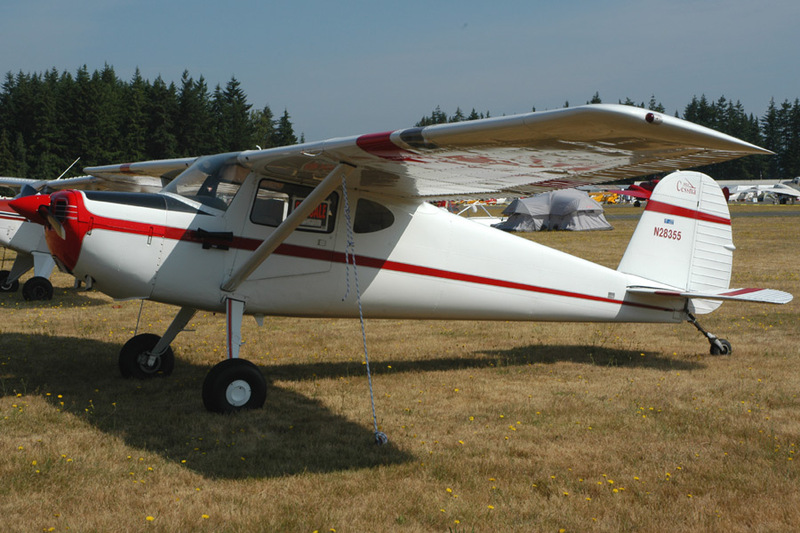 Ever after, I was comfortable flying low and slow (which I do not recommend), thanks to Stan's excellent training in slow flight, in landing a tail-wheel airplane, in slipping to landing in a crosswind, etc. Then, while working in Oklahoma, I started spending my evenings taking lessons in a Cessna 152 at the Cessna Pilot Center at Tulsa International Airport. The plane was not all that different from the 140 (save for its nose-wheel and complete set of radios) but the flying environment could hardly have been more different: wide concrete runways, commercial jet traffic, Midwestern thunderheads, and Ground Control, Departure Control, Approach Control, etc. There my instructor taught me air traffic control procedures, radio discipline, took me through the rigors of advanced training, more and more practice in managing stalls, precision navigation, turns on a point, flying a true rectangular course in a wind, night crosswind landings, etc. And there I made my first solo cross-country flight, first to Sallisaw, OK, then to a grass strip in Arkansas, where it took awhile to find someone to sign my logbook, and back to Tulsa. (Later, I flew my "long cross-country" while on vacation in Florida.) Any pilot will have stories about his student days, and I have some great (and some embarrassing) memories from that period, as well. Then came that evening in Tulsa when, having logged the required 50+ hours as a student pilot, I took my FAA check ride, and got my private license. After we landed, as I walked out to my car, I looked up at a darkening Oklahoma sky, where a thunderstorm was starting to roil the sunset-edged cumulous clouds, and told Carol Brueggeman McDougall, "Mom, I made it!"